Take a look at this loaf of bread. All her own work from ‘Dear’ onwards. Good luck Sainsburys. Answer this one and you’ll probably get a whole lot more questions coming your way. 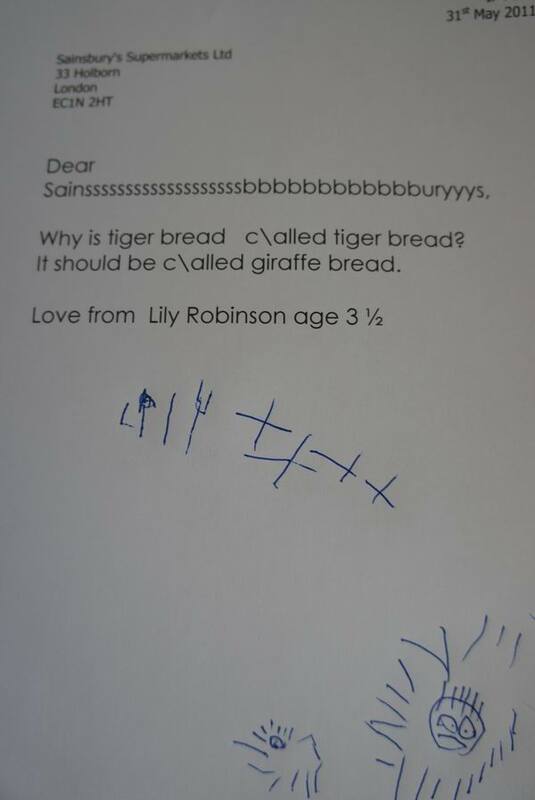 This entry was posted in Food, Giraffe Bread, Lily, Me. Bookmark the permalink. 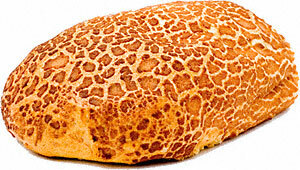 Pingback: fishnip.co.uk » Blog Archive » Well done, Sainsbury’s!